Thomas Lim currently studies with Jonathan Koh at the California Music Preparatory Academy. Thomas has performed at Carnegie Hall twice and made his debut at age 14 in February 2016. Thomas has won multiple awards including first place at the American Fine Arts Festival, the Diablo Valley College/Holy Names University (DVC/HNU) Young Artists’ Concerto Competition, the Korea Times Youth Music Competition, Junior Bach Festival, San Francisco Youth Talent Competition, US Open Music Competition, Saratoga High School Concerto Competition, and has been a prizewinner in competitions including the New York International Artists Association Cello Competition, United States Open Music Competition, the Korea Times Youth Music Competition, KAMSA Competition, Nova Vista Symphony Orchestra Concerto Competition, American Protege International Romantic Music Competition, and the American Protege International Concerto Competition. 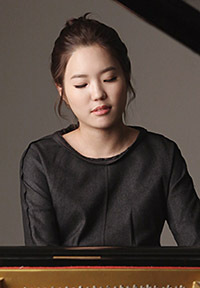 Sooji Lee began her piano studies at the age of 11 in Seoul, South Korea. One year later, she performed in Seoul’s annual piano competition and was awarded second prize. 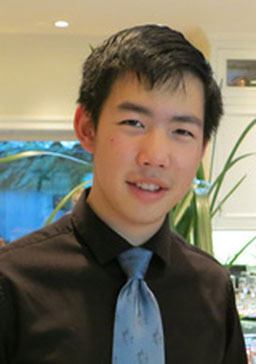 After winning top prizes at two subsequent competitions in Seoul, Lee continued with May Ling Kwok at the University of Victoria, and at the Victoria Conservatory of Music with Dr. Yoomi Kim. 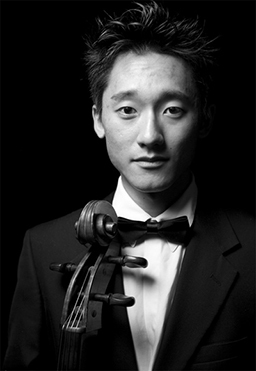 In addition to being a solo performer, Lee has played with chamber ensembles, including The Collegium. Over the past 10 years, Lee has performed in international competitions and has been the recipient of numerous awards and scholarships. Shoji Lee is now currently studying for a double major in concert piano performance/collaborating piano and music theory at the Cleveland Institute of Music. Jonathan Lin is the principal tubist with the Senior Orchestra of the California Youth Symphony (CYS), has played in the California Band Director’s Association (CBDA) 2014 All-State High School Honor Band Wind Symphony, and has held first-chair positions in the Santa Clara County Honor Band and the CBDA Junior High School All-State Honor Band. He received the highest rating, Command Performance, for his solos in the 2012 and 2013 California Music Educators Association Solo and Ensemble festivals. 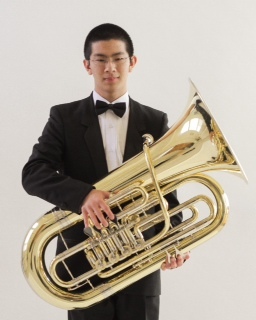 In 2014, Jonathan was Principal Tuba of the 2014 NAfME All-National Honor Concert Band. Although a brass player at heart, Lin began his classical music training in piano at the age of 7 and completed the level 10 Piano Certificate of Merit administered by the California Music Teachers Association at age 14. He plans to study medicine and music performance at College. 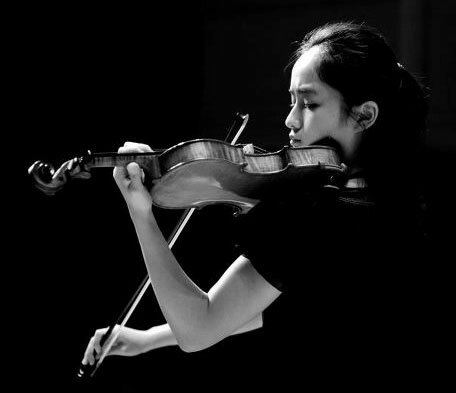 Yu Gong is a sophomore at San Francisco Conservatory of Music where she studies with Professor Wei He. She began her study of violin when she was 5 years old. She previously studied with Fei Wu and Chen Xing Huang in China. From 2005 to 2011, Gong attended the Shanghai Music middle school. She has competed internationally, earning second prize in the Bucharest International Violin Competition and third prize at the Andre a Postacchino International Violin Competition in Italy. 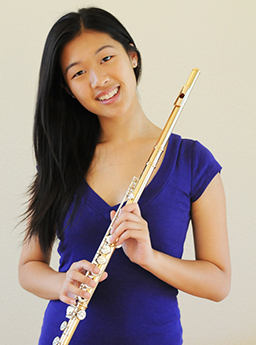 Annie Wu, student of Isabelle Chapuis (principal flute of Opera San Jose), began playing the flute at the age of 8 and won first prize in the National Flute Association High School Soloist Competition at 15, the youngest first prize winner in NFA history. She also won first prize for Best Performance of a Commissioned work, Three Beats for Beatbox Flute, by Greg Patillo, which requires the flutist to play with the flute, sing, and make percussive sounds with the mouth, all simultaneously. Wu made a video of the composition for YouTube which has over 500,000 hits. Wu has toured Europe with the San Francisco Symphony Youth Orchestra, playing principal flute in performances of Mahler’s First Symphony in the Berlin Philharmoniker and in the Munich Philharmonie am Gasteig. Locally, she has been a soloist with the San Francisco Symphony in Davies Symphony Hall. Upon winning our Yen Liang Young Artist Competition, Jerry Liu was a student at the San Francisco Conservatory of Music, studying with Jennifer Culp, and winning the ISOM Foundation Scholarship. His passion for classical music was developed while playing in the San Francisco Youth Orchestra, and studying under notable cello teachers, Roger Emanuels, Michail Gelfandbein, and Sieun Lin. Inspired by the diverse music that San Francisco offers, Liu has played and recorded with local bands including The Moonlight Orchestra and the punk opera band, Charlie and the Infinite. Liu has received awards from the Chinese Music Teachers Association of Northern California and has performed as soloist with the San Francisco Conservatory Orchestra and the El Camino Youth Symphony. Alex Chien started piano at age 4, and performed on “Maestro Darrell’s Music Workshop” TV show at age 5. 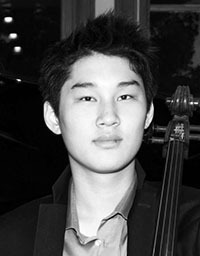 Among many achievements, he was the 2009 first prize winner in the Young Artists Competition of the California Youth Symphony, grand prize winner of the Mondavi Young Artist Competition, and the “Most Promising Young Talent” special award in the 9th International Russian Piano Competition’s Young Musician category. Also, in 2009, he attended the Chetham International Summer Piano School in Manchester, England. His many major performances include Carnegie Hall, Temple Hill University, and a solo recital at Newcastle University in England. 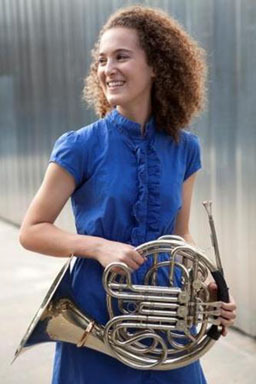 Anni Hochhalter is now a graduate of the University of Southern California, majoring in French Horn and studying under Dr. Kristy Morrel. She attended the Eastern Music Festival and has spent several summers at the Chataqua Music Festival. In her spare time she enjoys running, as well as playing guitar and song writing. Stephen Waarts started his violin studies in the Bay Area at the age of five, and also began studying the piano at age eight. Since age 11, Waarts has been performing with numerous orchestras all over the world to rave reviews, including hundreds of concerts in the Bay Area as well. 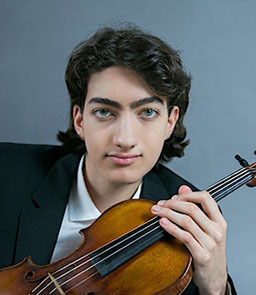 He is currently pursuing a bachelor of music at Curtis Institute of Music in Philadelphia, where he holds, for the 3rd year, the Frank S. Bayley Annual Fellowship; at Curtis, Warts studies violin with Aaron Rosand, piano with Annie Petit, studies conducting, and is a member of the acclaimed Curtis Orchestra. Since 2005, Waarts has been a student with Bay Area-based violin pedagogue Li Lin; since 2009, Waarts has also studied with Alexander Barantschik, Concertmaster of San Francisco Symphony, and with Baroque violinist Elizabeth Blumenstock. He is also a student at the Perlman Music Program, headed by Itzhak Perlman. During Waarts’ frequent visits to his Bay area home, he continues his close collaboration with his long time violin teacher, Li Lin, and continues to give local recitals and concerts.